[Non-UK buyers ... Purchase of several items together may result in an overcharge on shipping costs. This will always be refunded once the order is sent. SEW YOUR OWN. 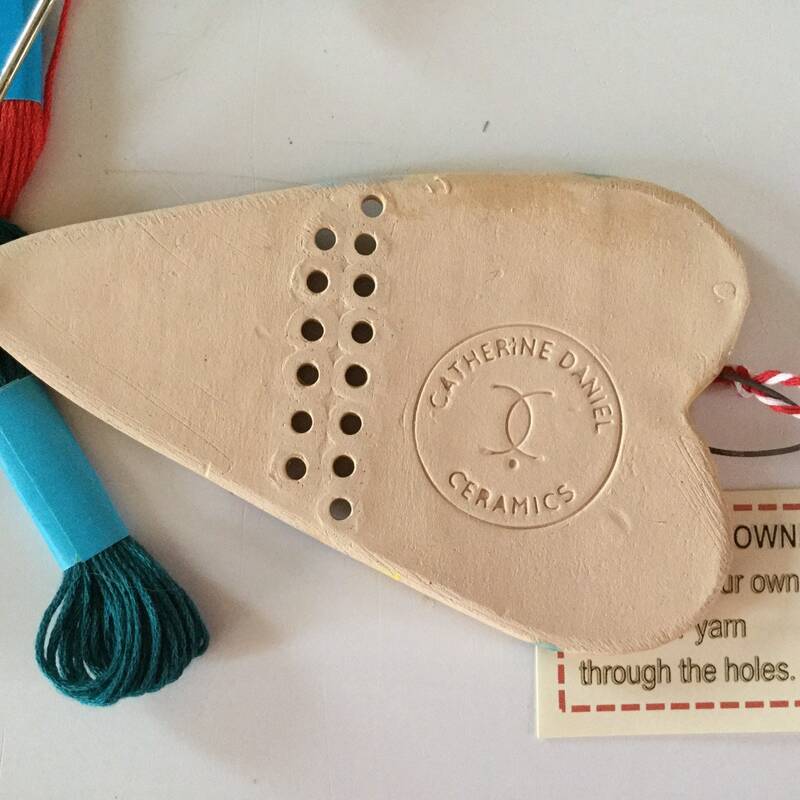 Gorgeous decorative hanging ceramic heart, with a band of holes through which the recipient can sew their own thread or yarn, choose their own colour, stitch their own pattern, and create a unique piece of mixed media art. 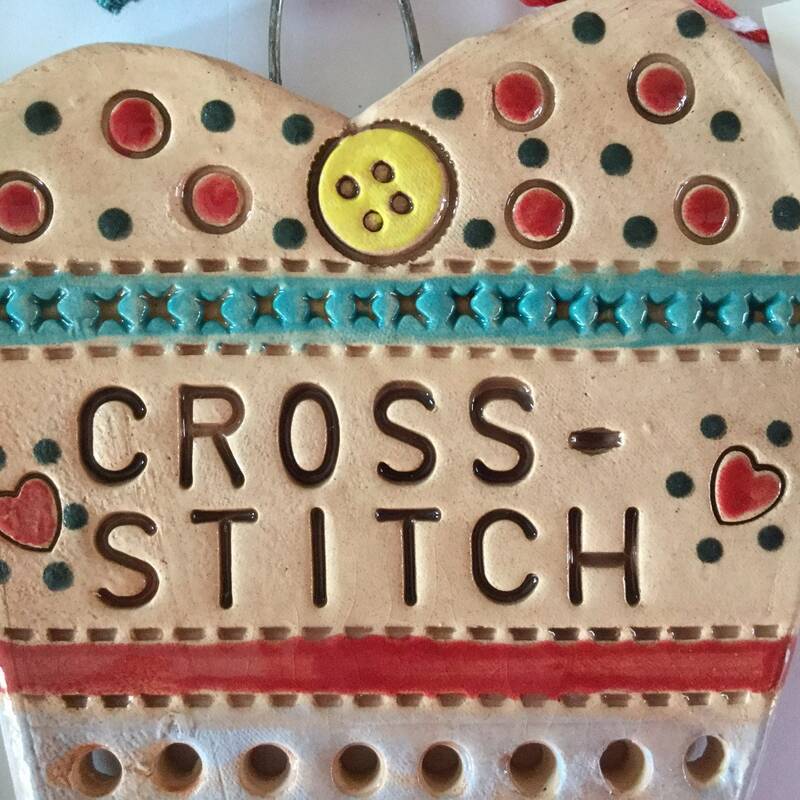 Bright and colourful, intricate pattern and with stitchy detail, it has a fabric/folk art feel. Integral wire hanger. Comes with a “Sew your Own” tag attached. Measures 14cm height x 8cm width at the widest point. 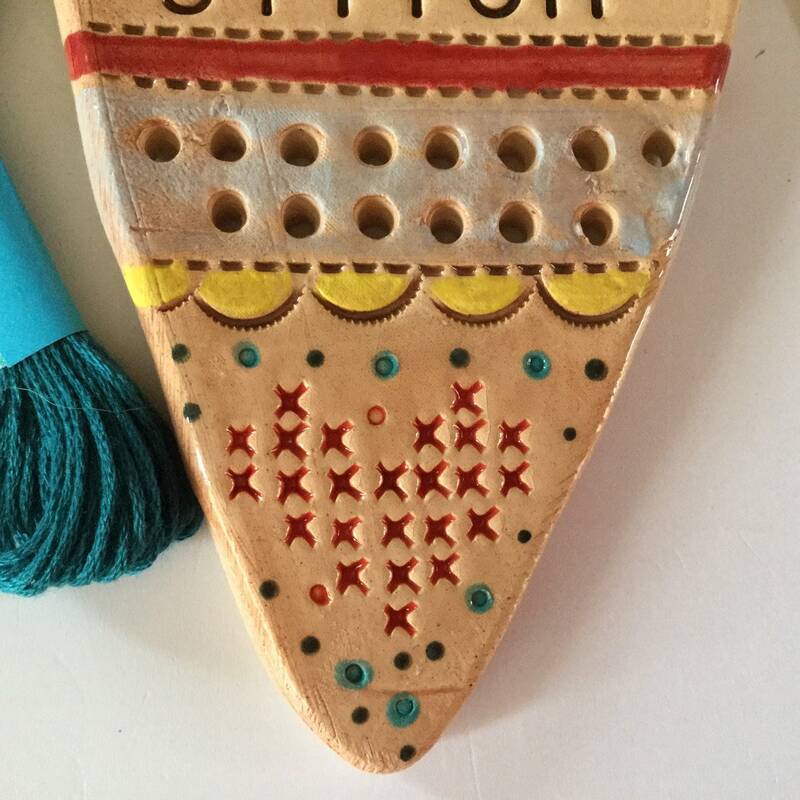 I cut the shape from a slab of earthenware clay and impress the patterns into the wet clay by hand, and make the holes. Once dried out, they are bisque fired in my kiln and then I apply the coloured glazes. They then need to be fired a second time. They each have my potter's mark on the back. 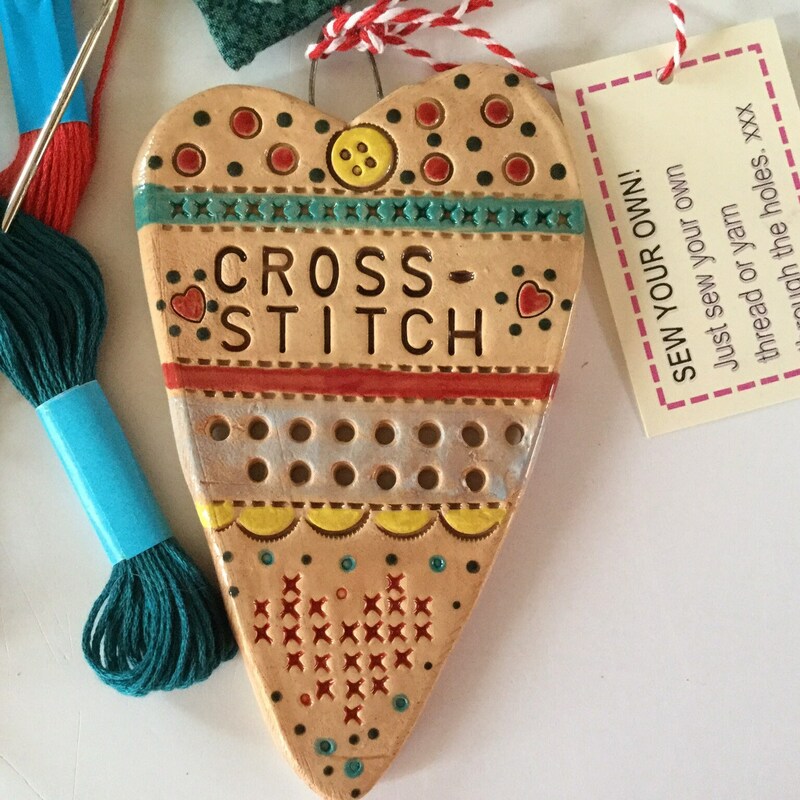 Perfect as a small gift for a sewing/knitting/crafting enthusiast. I’d be thrilled to see the finished piece, if anyone feels like sending me a pic, or showing on social media! NOTE: Does not include thread/yarn.